Guitar and Bass, the perfect instrumental duo. Small, portable, tuneful, rhythmic, lively, chilled, ambient, and as quiet or loud as you need us to be. We play pubs, clubs, house parties, BBQs, wedding receptions, restaurants etc., etc. To get the Mo-Bo Duo at your event simply get in touch: dave@davebold.com . To hear us play live catch us at one of our monthly residencies: The Alexandra in Penge, or Two Spoons Bar in Honor Oak. Details are advertised regularly on the NEWS/BLOG page. Sound clips on the video link below. 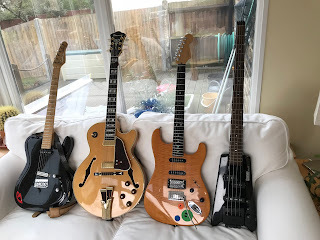 Examples of the types of tunes we play are listed at the bottom of this page. Straight ahead jazz and latin. 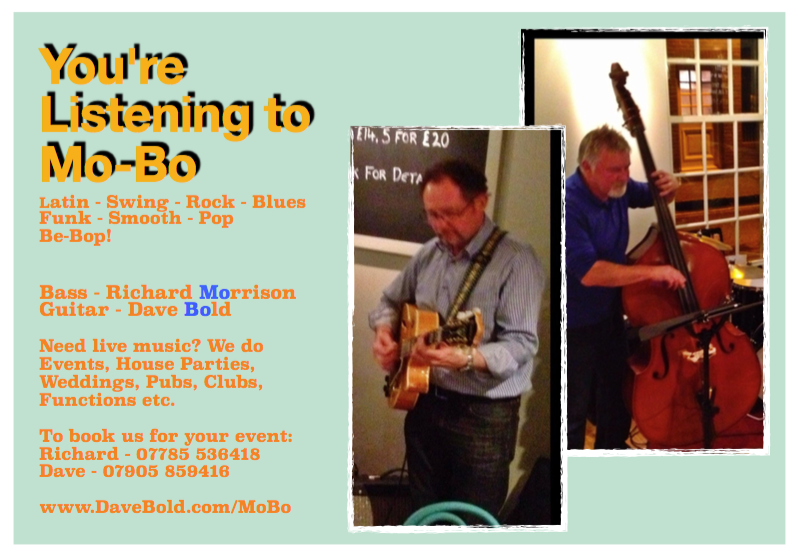 The Mo-Bo duo: Playing all kinds of tunes for you. Just get in touch with info about date and time you have in mind. A typical Mo-Bo setlist includes the following list of tunes. Note that we can learn requested tunes, specific for your event, just mention what you'd like to hear when you book us.